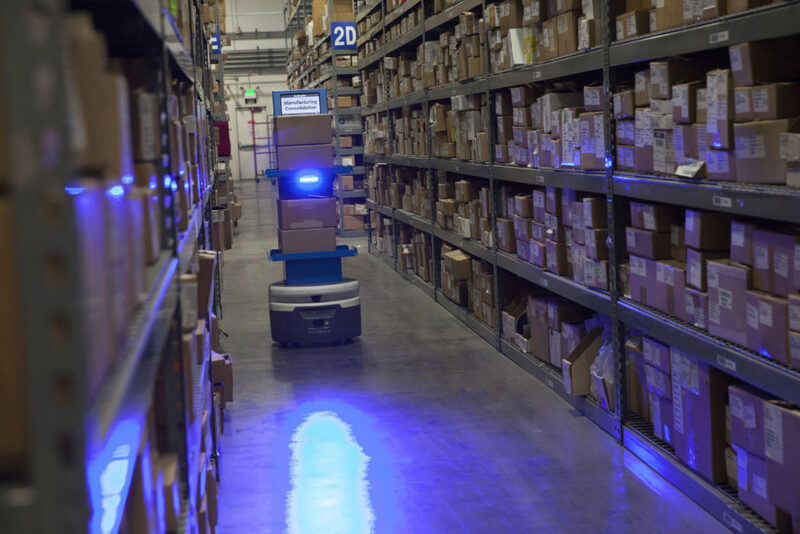 Fetch Robotics, founded in 2014, is building robots to autonomously carry materials from one point to another inside a warehouse or other distribution building. Unlike the kinds of robots typically shown in movies and other pop culture media, Fetch’s robots don’t try to look like humans. Rather, the basic Fetch looks like a large snare drum, or a round ottoman. It’s the base to place shelves, bins or other containers that human workers fill with whatever needs to be transported. The robots know where to go, guided by cloud-based programing that can be changed depending on the need. They differ from other industrial robots that have been around for decades and are designed for specific, repetitive and stationary tasks. In February 2013, Wise and three fellow engineers co-founded Willow spin-off Unbounded Robotics of Santa Clara. After developing its first robot, the company became what ABI Research called “an industry darling,” but needed further financing to continue. Wise said Unbounded had an acquisition offer from an unnamed company, but the deal was scuttled by intellectual property problems in its “really bad spin-off” agreement with Willow. The terms scared away potential acquirers and investors, according to Wise. “We couldn’t take the acquisition offer, so we had to shut down the company” in August 2014, she said. It was a valuable lesson in entrepreneurship. “I like to joke that in an 18-month period, I experienced pretty much everything that a startup founder could go through, and I got it all out of the way,” Wise said. “I learned the difference between friendship and business, (about) getting it in writing, finding a good lawyer.” Willow Garage founder Scott Hassan, now CEO of another spin-off, Suitable Technologies, did not respond to a request for comment. Wise is among a “really rare breed” of CEOs, said Andra Keay, managing director of the nonprofit industry group Silicon Valley Robotics. “There are very few serial robotics entrepreneurs,” Keay said. “That’s something the robotics industry is missing. We’re starting to see CEOs in robotics that have done another company.” She said Wise has become a visionary in the industry by focusing on areas that robots can help now rather than potentially help in the future. “There are a lot of robots that meet a public imagination rather than a pragmatic purpose,” Keay said. Wise is also a “rising star” in an industry that’s about 90 percent male, said Jeff Burnstein, president of the Association for Advancing Automation, an umbrella trade organization that includes the Robotic Industries Association. “She’s been speaking out about the need for diversity, getting more women involved in an industry that has traditionally been male dominated,” he said.